When I read the torah text (parsha or otherwise) I currently use a couple of chumashim with notes, and Rashi. I know some Hebrew but am not fluent. I'm ready to stretch beyond what I'm reading now and would like to add another commentary to add a new dimension to my study. The chumashim I use include some verse-by-verse notes from a mix of Rambam, Ramban, Rashi, S'forno, Ibn Ezra, and occasional others, but not much commentary from any one source. Is there a common "next step" for torah study? What do today's authorities recommend? What is the typical learning path in yeshivot? 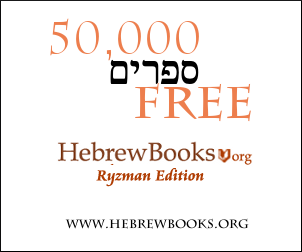 R' Hirsch (Isaac's suggestion) and Ramban (Hacham Gabriel's suggestion) are both widely available in English, and for good reason. Both are very easy to appreciate, both on the simplest of levels, as well as on much deeper planes. If your Hebrew improves or you can get a learning partner who is also capable of being a mentor, I highly, highly recommend Ramban in Hebrew. There's just something there that the English cannot fully capture. There are so many other commentaries, each with its own flavor. If you want linguistics, especially those that challenge (then-accepted) norms, there's Ibn 'Ezra and Rashbam. Seforno and Keli Yakar are both very, very deep, and I especially like their analyses of the Avoth, in particular Ya'akov. Rabbi Eli Mansour said after Rashi to learn Ramban. I've got to put in a plug for the translation and commentary of R' Hirsch, of which I'm a big fan. I love his elegant, holistic, thoughtful take on the whole Torah, especially the ritual stuff in Leviticus (Temple offerings, ritual purity, etc.) that's otherwise most difficult to understand from a modern perspective. When I read R' Hirsch, everything fits together so well, and I'm in awe at the elegance with which God constructed the Torah. The original English translation (He wrote in German. ), which I'm familiar with, is now out of print. The new English translation uses a more contemporary English. I haven't studied it carefully enough to say anything else about it, but I can certainly recommend the ideas it came from. Given that you'd probably be learning a translation in your native language, this won't stretch your language ability much, but the complex ideas definitely require intellectual effort. In addition, R' Hirsch quotes Talmudic, Midrashic, and other Rabbinic sources from all over the place, providing opportunities for branching out your investigation of topics that look interesting. You may also want to look into a commentary that's more at the "macro" level. That is, a text which considers a couple of big questions per parasha and then exams the many answers to those questions from the commentators. A famous one that I recommend is Nehama Leibowitz: New Studies in the Weekly Parasha (7 volume set) Amazon source for English translation. Also available in the Hebrew original. I use the English version and it's great. The astute reader may be wondering "7 volumes??" The reason is because her texts on Shmot and Vayikra are both in two vol sets. The Traditional Path of learning Tanach in the Yeshivah is to get a copy of the Mikrot Gedolot, and the Jastrow Dictionary. Sadly, I don't think Mikrot Gedolot has been fully translated into English yet. targum yonotan, Rashbam, Ibn Ezra, Radak, Ramban, Sforno and the Siftei Chachamim. The goal tends to be to read them all side by side and to compare them. I vaguely imagine this is done to make the controversial statements of each of the various commentaries to be "dimmed" down as a daat yachid. I would suggest, as others have, something along the lines of either Seforno or the Ramban. However, one of the best options to my mind is to begin learning the commentary of the Malbim (מלבי"ם - Rav Meir Leibush Ben Yechiel Michel z"l). If you can read the Hebrew, then I suggest getting a set and using that, but if you can't then Artscroll has a series entitled "The Essential Malbim" which is an abridged version of his comments in English. Although it currently only includes Bereshith and Shemoth, including these works into your study program will benefit you greatly. So, why specifically the Malbim? Well, he is a fairly recent commentator on the entire Torah (19th century) and is hailed as being the pashut peshat ("the simplest and most plain meaning") by many - even (and especially) beyond that of Rashi. He seeks to be reasonable and in line with current Biblical scholarship while maintaining a fidelity to the aggadic tradtions of the gemara and midrashim (but without allowing them to completely dictate his plain understanding of the text). Many of his comments on Bereshit seem to almost "foresee" the world and findings of modern science and archaeology as it relates to the narratives of the Tanakh. For example, one such instance can be found in his comments on Parashath Noahh where he concludes based on the language of the Torah that only domesticated animals were brought into the teva (pop. "ark"). The implications of this are massive and for a scholar in the 19th century to make such a claim is extremely interesting and telling indeed. All in all, my suggestion to you is to give the Malbim a try. I am sure that you will enjoy him. Hope this helps. Kol tuv. While this was in reference to the program of studies for rabbinical students, it is still apparent that he viewed the commentary of Ramban as the most important after that of Rashi. I would suggest that you read either Sifte Chachamim (or Ikar Sifte Chachamim), which is a commentary on Rashi you can find in most of the Chumashim. Actually, Rashi's comments are annotated with Hebrew letters referring to Sifre Chachamim/Ikar Sifte Chachamim comments. You may also look at Daat Zekenim in the Mikreot Gedolot Chumashim. Daat Zekenim is a compilation of Tosfot commentary on the Chumash. Likutei Sichos. If your Yiddush isn't too good, start out with the Kehos Chumash. They take every sicha and compile them all into a narrative-form commentary of the Chumash (and some Haftorahs). Not the answer you're looking for? Browse other questions tagged torah-study pentateuch-chumash commentaries jewish-books . Where does Rashi say “Complaint” in his commentary on the Torah?